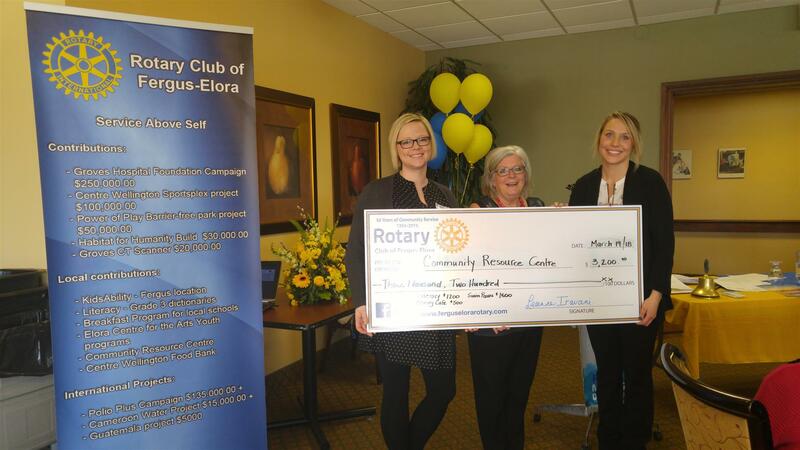 Leanne Iravani, centre, presented a cheque to Lindsay Cowan, Supervisor of Early ON and Alyssa Cunningham, Supervisor of Outreach and Support Services of Community Resource Centre. $1200 will be used for books for the Literacy program, $500 toward startup of Memory Cafe. and $1500 for swim passes. All Rotary marks, logos and copyrighted content as owned by Rotary International, used with permission.